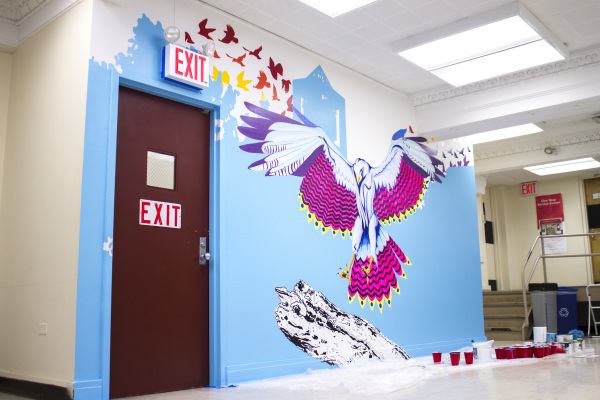 The idea behind this mural is to convey and represent some of the evocative qualities of Queens College's campus. 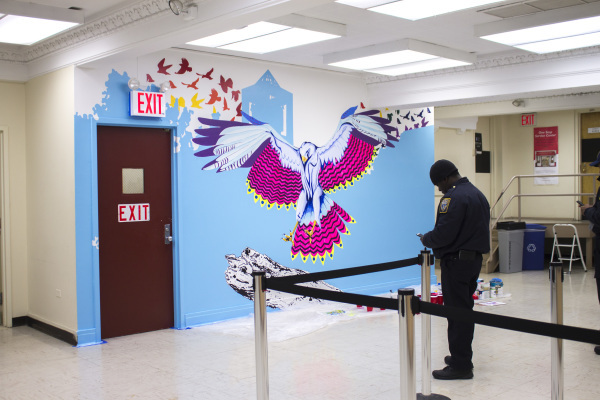 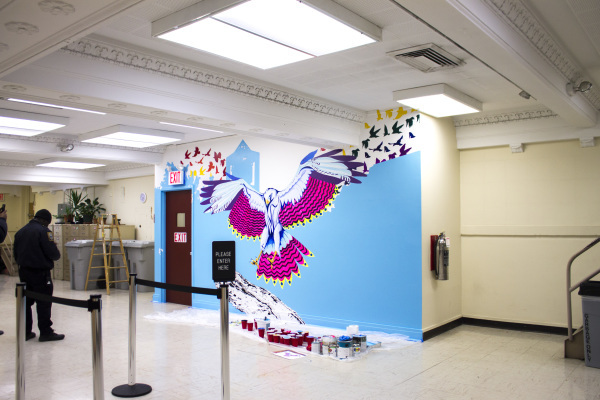 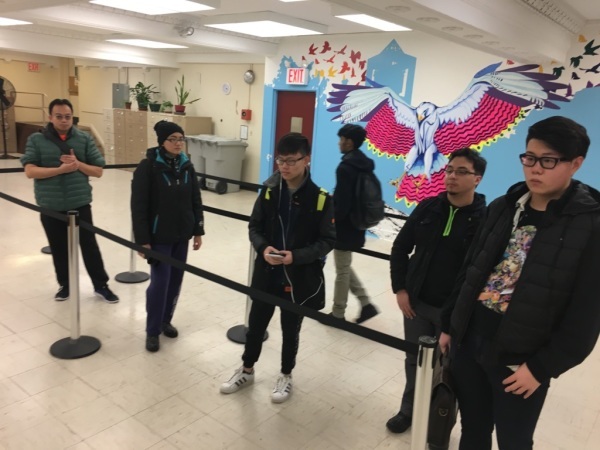 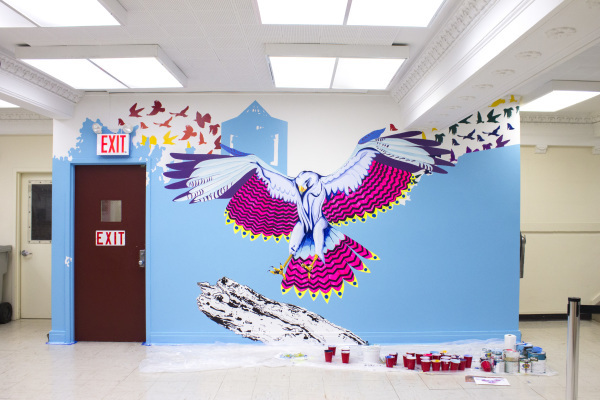 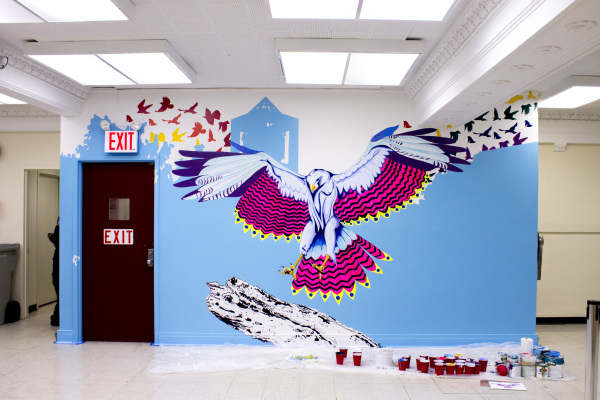 As a way to show how the college is an open and supportive space that embraces diversity, the artists chose to use birds as a metaphor for the strong and multicultural community present on campus. 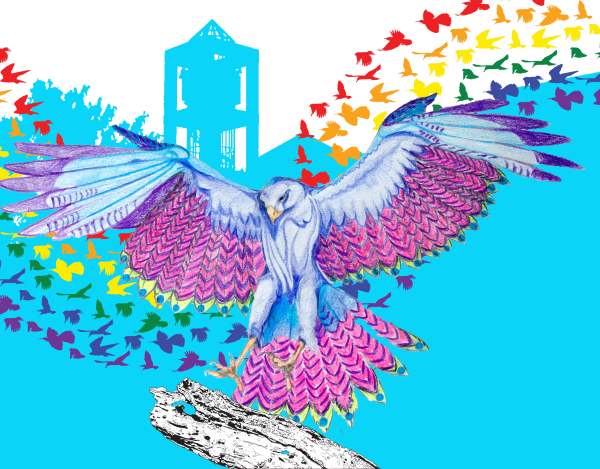 It is also a reference to the sights visible in Queens College, where we have a communion between fauna, flora and manmade structures that give to campus a distinctive look. 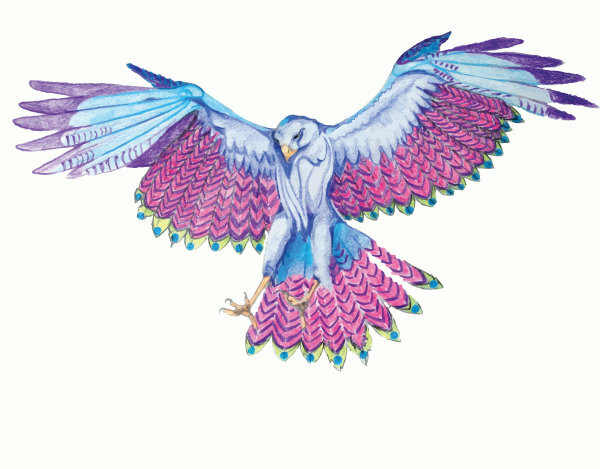 The birds appear in different shapes, sizes, and colors; but flying in the same direction. 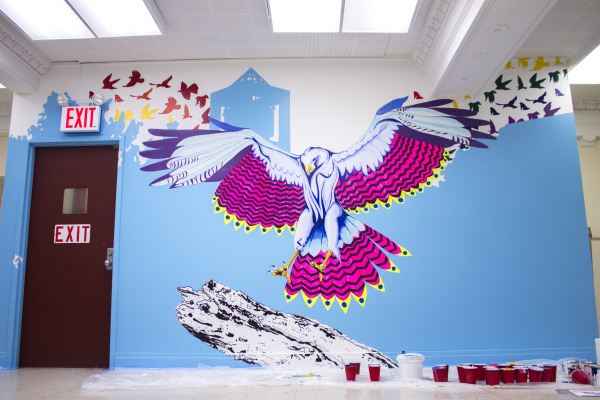 That represents the artists' belief that progress is only possible when a community stand together in harmony, despite the differences between its members.